The surgery has regular chronic disease clinics with nursing staff, by appointment only. *(The monitoring of patients on drugs used for the treatment of rheumatoid arthritis, erythropoietin and methyphenidate). If you are a registered patient, aged 16-74 years and have not been seen for three years, you may request an appointment for a routine Health Check. If you are a registered patient aged 75 years or over and have not been seen in the previous 12 months you may request an appointment, or, if because of a medical condition you are unable to attend, a home visit may be arranged. To avoid disappointment, patients are requested to contact the Practice at least 8 to 10 weeks prior to the date of travelling. A Travel Form will need to be completed indicating the destination, accommodation type and length of stay. 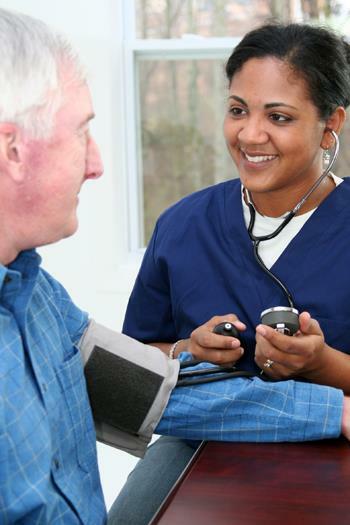 An appointment is made with a Practice Nurse who will use the information provided on the Travel Form, in conjunction with the patient's medical record, to offer advice and any immunisations/medication required. To allow sufficient time for this investigation to be carried out, the appointment will be around 1 to 2 weeks after submission of the Travel Form. A fee will be levied, ask at reception for details.